What Makes the Chase Business Credit Cards the Best? Do You Know if You’re Eligible For Business Cards? Decision Time: Which Chase Credit Card is Best for You & Your Business? Some of the most lucrative signup bonuses of all credit cards come from Chase business credit cards. Chase, hands down, offers the best small business credit cards of any bank. They have both great rewards and great card benefits. Some of the Chase business credit cards even have valuable travel benefits. One of the Chase business credit cards even has the BEST SIGNUP BONUS available out of ALL credit cards; personal or business. In fact, Chase credit cards have such good signup bonuses that if you have a business I would recommend them over most of the personal cards. There are 5 different Chase business cards that are currently offering signup bonuses that are valued at over $1000 according to our Reward Points Value page. 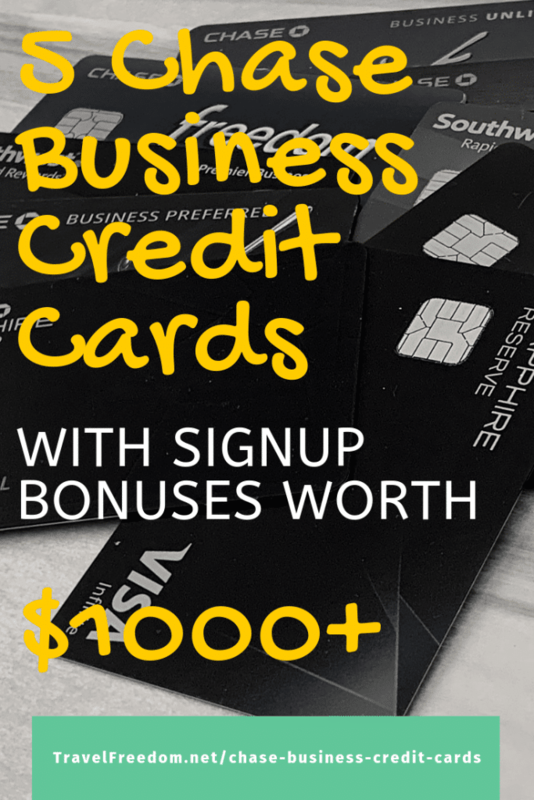 The Ink Business Preferred has a signup bonus worth a whopping $1600 worth of travel, making it the best offer for ANY credit card! Let’s go ahead and take a look at all five cards to see what else they offer besides tons of points for travel. 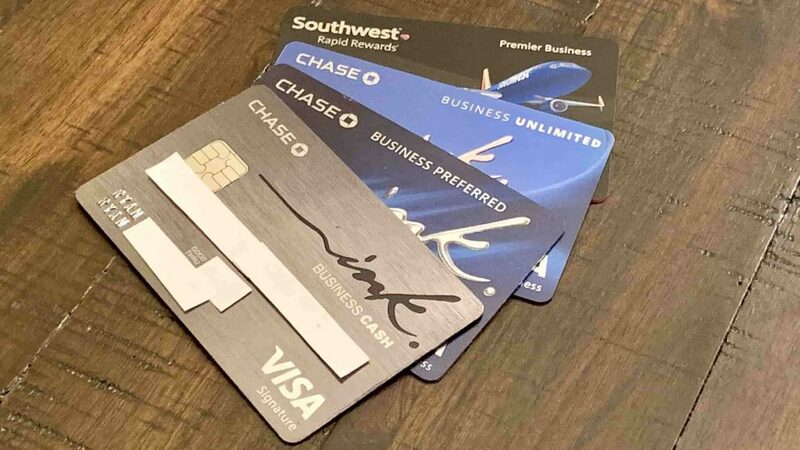 As we mentioned, there are currently five Chase business credit cards that are offering signup bonuses of at least $1000 in value when used for travel. That’s incredible but not unbelievable, as Chase is known for having some of the best offers in the credit card industry. Three of these cards earn transferable credit card points in Chase Ultimate Rewards and two of them earn airline miles. The great thing about earning Ultimate Rewards is their versatility. They can be used in the Chase travel portal or transferred to airlines and hotels through Chase transfer partners. Yes, all of these Chase business credit cards have excellent signup bonuses, but that’s not the only thing they offer. On top of the great signup bonuses, they offer fantastic rewards bonuses on for purchases made in certain business categories. Most of these cards have bonus categories for spending that could make a lot of sense (and a lot of points) for your business. In certain categories, these cards offer up to 5X and 3X points per dollar. Some of the rewards category bonuses that I frequently take advantage of, are: 3X rewards for advertising on social media platforms (facebook ads, google ads, Instagram ads, Pinterest ads) from the Ink Business Preferred credit card and 5X rewards on office supply stores, internet, cable and phone services from the Ink Business Cash credit card. PS: Office supply stores happen to have a plentiful gift card selection… Wink, wink. Earning 5X at office supply stores means that there is the potential of earning 5X points on almost all purchases that your small business makes. Category Spend Bonuses: You’ll earn 3 points per $1 on the first $150,000 spent on travel and select business categories (including social media advertising!) each account anniversary year. You’ll earn 1 point per $1 on all other purchases, with no limit to the amount you can earn. The Introductory Offer is one of the best we’ve seen for any credit card. It’s a surprise how much value they give for a credit card with only a $95 annual fee. We have this card and love the benefits. We used the introductory offer bonus to purchase two round-trip flights to Hawaii, and still have 30,000 points left over. That’s pretty impressive in itself. On top of that, the spending category bonuses are worthwhile for most online businesses. Category Spend Bonuses: You’ll earn 5% cash back on the first $25,000 spent on purchases at office supply stores and on internet, cable and phone services each account anniversary year. You’ll earn 2% cash back on the first $25,000 spent at gas stations and restaurants each account anniversary year. You’ll earn 1% cash back on all other purchases with no limit to the amount you can earn. Category Spend Bonuses: You’ll earn unlimited 1.5% cash back on every purchase made for your business. Receiving this large of an introductory offer bonus on a no annual fee credit card used to be unheard of. Now Chase has two of them. I see this card as an excellent supplemental credit card to go along with the other Ink credit cards. Because it earns 1.5 points per dollar on ALL purchases, it’s great for those purchases that don’t fall into a category bonus of the other cards. Introductory Offer: You’ll earn 60,000 points after you spend $3,000 on purchases in the first 3 months that your account is open. Category Spend Bonuses: You’ll earn 2 points per $1 spent on Southwest purchases and Rapid Rewards hotel and car rental partner purchases. You’ll earn 1 point per $1 spent on all other purchases. Points Redemption: There are no blackout dates when you redeem points, no seat restrictions, bags fly free, and there are no change fees. Southwest’s reward booking process is by far the easiest to maneuver of all airlines. Their points coincide with the dollar price of flights so you can get a great deal when they have sales. I’ve flown round-trip for fewer than 7,000 points before. The introductory offer bonus can go a long way. Also, the introductory offer currently counts towards earning the Southwest Companion Pass, which is the absolute best deal in the traveling with points world. Introductory Offer: You’ll earn 50,000 points after you spend $3,000 on purchases in the first 3 months that your account is open. Category Spend Bonuses: You’ll earn 2 miles per $1 spent at restaurants, gas stations, and office supply stores. You’ll also earn 2 miles per $1 spent on United Airlines purchases. Travel Benefits: Free checked bags when flying United, 2 United Club lounge passes each year and priority boarding. Employee Cards: No fee for extra employee cards. If you regularly fly United Airlines, this card makes sense. The introductory offer gives you enough miles to work with for multiple free flights. Free checked bags, priority boarding, and some United Club lounge passes make it appealing. Plus, there’s no annual fee in the first year because it’s waived. Signup Bonus Values: Obviously, a large portion of the value in these credit card offers comes from their signup bonuses. When using the Travel Freedom points value chart, we found each of these signup bonuses to be worth over $1000 in travel value. 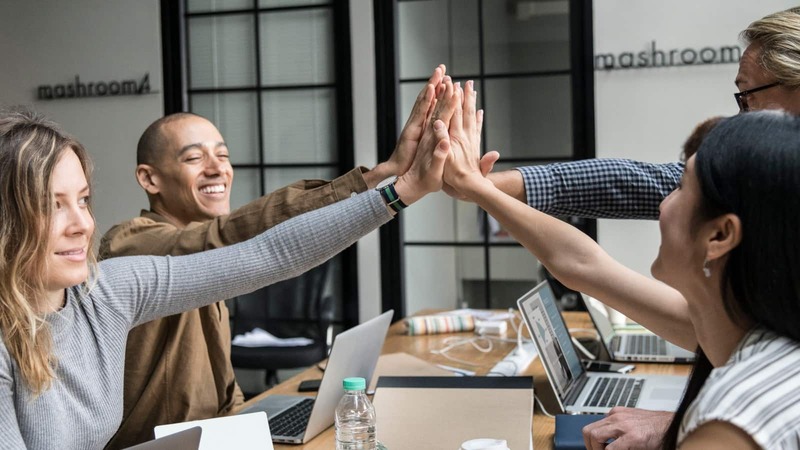 Rewards Earning Potential: These Chase business credit cards have reward earning spend bonuses in categories that are commonly used by businesses. For this reason, it’s actually easy to earn bonus points through purchases. 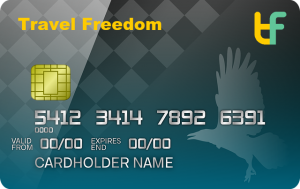 Travel Benefits: Lounge passes, travel insurance, priority boarding, and waived baggage fees are a few of the travel benefits that make these cards even better. Annual Fees: While some of these cards have annual fees, the benefits and rewards far outweigh the annual fees. Plus, most of the above Chase business credit cards have waived annual fees in year 1. If you have a business or even just do some freelancing as a side hustle, a small business credit card can help you separate your expenses, give you more buying power, and let you earn points from your business purchases. As you’ve seen, business credit cards offer bonus rewards on categories such as office supplies, airfare, advertising, dining, and gas. If you’re eligible through your business or side hustle, you could benefit greatly by having one or more business credit cards. When you apply you will be asked for an EIN if your business has one. Use this number on your application, which you should have received when you applied for your business. If you are working as a sole proprietor, you won’t have an EIN and can simply use your social security number in this field when applying. I have personally applied for and been approved for multiple business credit cards using both types of identification numbers. To keep your personal expenses separate from your business expenses. This is the primary reason to have business credit cards. Keeping your records as clean as possible is important. Business credit cards send you annual statements and have tracking tools to make record keeping very easy. If you have employees who make business purchases. 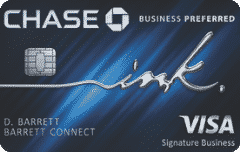 Chase business credit cards provide free extra employee cards to help you keep track of each employees expenses. Earn more Ultimate Rewards for your business purchases. All of the Chase business credit cards allow you to bring more value back into your business in the form of rewards. They can be used as cash back or preferably travel. Use them for expenses that you don’t have the cash for yet. In low revenue periods, business credit cards can help bridge a money gap temporarily, until cash flow improves. Some of the Chase business credit cards offer purchase protection so you can feel secure about what you buy. For instance, the Ink Business Preferred protects your cell phone from damages. Now that you’ve seen the details of the five best Chase business credit cards, which one will you choose? It actually doesn’t have to be just one. You could, of course, get one now and one in three months or so. Obviously, due to the extreme value being offered for the Ink Business Preferred, it’s the best option if you’re looking to earn the most amount of points. It’s not only the best signup bonus for Chase business credit cards. It’s the best signup bonus for ANY credit card. By earning Chase Ultimate Rewards through one of the Ink cards, you’ll also gain access to both United miles and Southwest miles, as they’re both transfer partners of Ultimate Rewards. 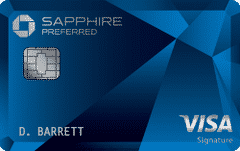 To be able to transfer to Chase travel partners, you’ll need one of three primary Chase cards; Sapphire Preferred, Sapphire Reserve, or Ink Preferred. These three cards not only enable transferring points to travel partners but also elevate the value of points in the Chase travel portal by 25-50%. Whatever decision you make, you’ll be making a good one because all five of these business credit cards are great options. Each of them is well above average when it comes to travel rewards credit card offers. They’ll all earn you plenty of free travel. Good luck, and of course reach out to us if you have any questions. We’re always happy to help!